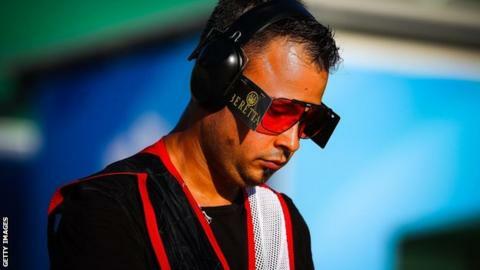 Responding to plane crashes and people stranded at sea may not seem the most obvious preparation for a world championship – but for one British shooter, it is working. Meet Aaron Heading: Trap shooter turned coastguard. He starts the World Shooting Championships in South Korea as world number one, a remarkable turnaround after he nearly retired four years ago. The 2010 Commonwealth champion credits taking up volunteering with HM Coastguard as a key factor in his rise to what he hopes will be a maiden world title. Just weeks after winning Commonwealth silver at Glasgow 2014, Heading crashed his motorbike, an accident that had both physical and psychological repercussions. “At the time I didn’t feel like there was a big issue,” Heading said. “It wasn’t until my parents and partner – now wife – said I might lose my leg that it brought things home to me. “I was in hospital for nearly two-and-a-half weeks and in a wheelchair for two months. As well as running his own shooting range and training, Heading volunteers with the Sutton Bridge Coastguard, covering the marshes and seaways of South Lincolnshire. Despite this hectic schedule, that can see him called out at any time of day, Heading says it has helped get his shooting back on track. “For the past few years it’s been shooting, shooting, shooting,” he said. “Now I’ve got this feather in my cap, it’s relaxed me massively, helped my shooting and it shows in my performances. Heading has enjoyed an excellent 2018, winning his first World Cup event since 2013 in Malta in June. The 31-year-old also won a second consecutive Commonwealth silver in Gold Coast in April. However, reality hit home days after he arrived back in the UK. He said: “I came back from the Commonwealth Games in Australia. I got home and put ‘alert and tasking’ on my phone and within a couple of hours I got called out to a body that had been washed up on the marsh. “It brings everything back into perspective on a job like that. For the next week, Heading will put down his lifejacket and put on his shooting vest as one of the favourites for the men’s trap at the World Shooting Championships. His previous best is 19th in Belgrade in 2011 but he feels more confident than ever going to Changwon. “I am over the moon with the way training and the year is going,” he said. “I’m trying to keep level-headed, hence why I come out with the coastguard to take my mind off things. “I’ve had a few challenging situations at the World Championships and never quite got on to the podium. The men’s trap begins on Sunday, 2 September, with the final the following day.